If you’re interested in studio photography, you may have heard of lighting ratios; though the term may sound intimidating, the principle is not. To truly understand and master photography, it is not enough to understand your subject or know your equipment; it is also necessary to have an understanding of lighting. While it is possible (and often preferable) to utilize natural lighting when taking photographs, the judicious use of lighting sources can help to enhance your photography in general and significantly enhance your shooting under studio conditions. When shooting photos under studio conditions, two sources of light are of principal interest- your key light, or the light that provides the majority of the illumination and thus creates the shadows in your scene, and the fill light, the secondary light source used to decrease or eliminate those very same shadows. Naturally, uniform lighting will yield minimal shadows (very little contrast), while a large difference between the two would have the opposite effect. 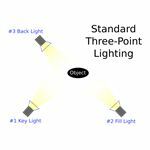 Expressed in numbers, the lighting ratio is nothing more than the ratio of intensity between your key and fill light sources. 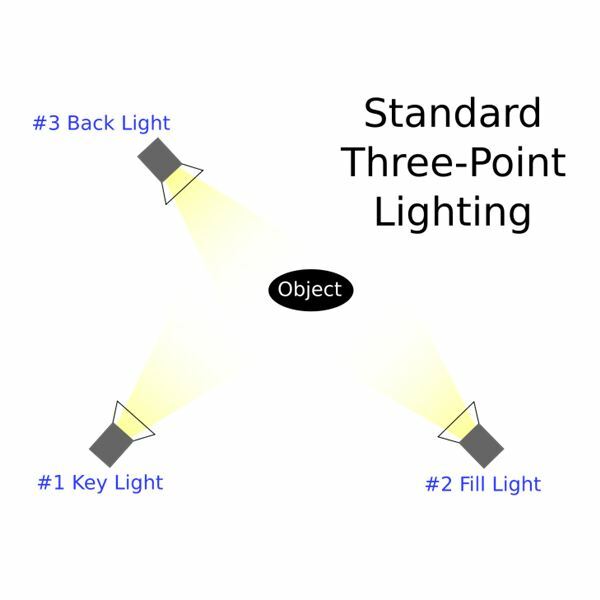 For instance, if your key is twice as bright as your fill, that difference equates to a 2:1 lighting ratio. Those familiar with f-stops may recognize a pattern, since the amount of light a camera sees doubles (or halves) with each decrease (or increase) in that value. Indeed, you can divide your lighting ratio by 2 in order to determine the number of stops of exposure difference in the photograph. In most situations, 1 to 2 stops yield optimal results, allowing for shadows while still allowing the highlights to show up, as well. Greater values can be used to exaggerate shadows at the cost of losing highlights. A 1:1 lighting ratio creates a “flat" photograph lacking in contrast, while ratios in excess of 4:1 tend to create such strong contrasts that detail is lost. As with many things in photography and in life, the middle road is often the best one. While ratio lighting may see the greatest amount of usage in the studio, the principles involved carry over to other areas; the idea of maximizing contrast is the reason why the recommended time to shoot landscapes is early morning or evening. Depending on cloud cover and the like, circumstances may create situations where illumination is, or appears to be, coming from multiple directions, and an overcast sky acts much like a diffuse light source.